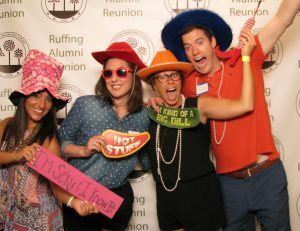 Many thanks to all of you who attended the 2016 Ruffing Reunion! 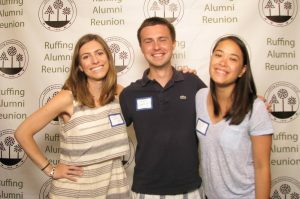 Over two hundred alumni from several different decades came. 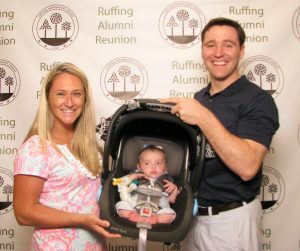 Some brought their parents, others brought their children, but all brought their warm memories of Ruffing. Many teachers also attended (including former teachers Faye Krebs and Norm McKay) The stormy weather forced the buffet into Debbie Butterfield’s classroom (thanks Debbie! ), but that did not dampen people’s spirits. 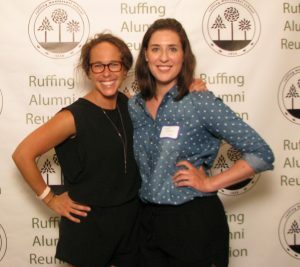 So we can all take pride in the many ways that Ruffing’s alumni continue to change the world, rather than wait for the world to change. A small example of their Montessorian independence occurred late in the reunion, when the rain had finally stopped and I discovered that many alumni were now playing baseball on the new turf (see photo on reverse). 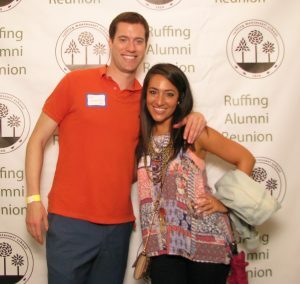 A little (or even a lot) of rain was not going to stop the irrepressible desire of Ruffing grads to play baseball on their old stomping grounds. Talk about a pot of gold at the end of a rainbow. Website: We now have a new, more user-friendly website for alumni to enjoy! 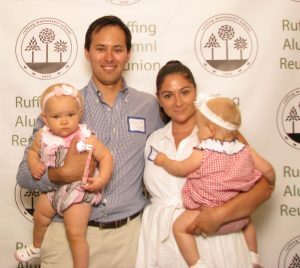 Features under the “Alumni” tab include updated Ruffing events as well as archived Alumni Bulletins and other relevant Montessori resources. 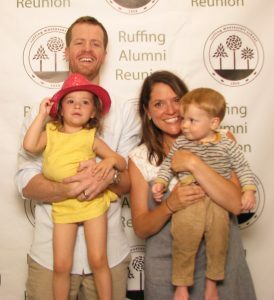 Facebook: Our “Ruffing Montessori Alumni (Rocky River)” Facebook page now has over 145 members! 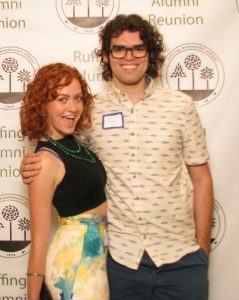 If you are on Facebook, please request to join this closed group (http://www.facebook.com/groups/ruffingalumnirockyriver/). If you know fellow alumni on Facebook, please let them know about the page! Parent’s Digest: This quarterly e-publication provides a variety of resources related to both Montessori education and parenting. 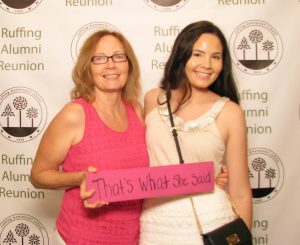 Each issue also features interviews with Ruffing alumni! If you would like to start receiving the Ruffing Parent’s Digest via e-mail, please let Lori Coticchia know. Feel free to contact either Lori or me with questions, news, or suggestions. We welcome all alumni updates!